Lucy Walsh lives and works in Cambridge, Massachusetts. After graduating with a BA in Fine Arts from St. Ambrose College, she worked as a professional calligrapher and illustrator for organizations including the American Medical Association, the American College of Surgeons and the American Osteopathic Association. Like many artists, she also ventured into the business world for supplementary income, and inadvertently, but fortunately, discovered a fulfilling profession in the legal field. While Lucy enjoyed calligraphy, she found herself increasingly drawn to the world of painting and abstract expressionism. Though classically trained in the traditional processes of painting, she found abstraction a more authentic form of self-expression. The subconsciously motivated action of painting combined with the dynamic and gestural imagery central to the abstract expressionists felt new, but surprisingly familiar. Using her background as a calligrapher to meld language or the remnants of language with abstraction, she creates harmonious expressions and connections with the viewer's emotional recesses. 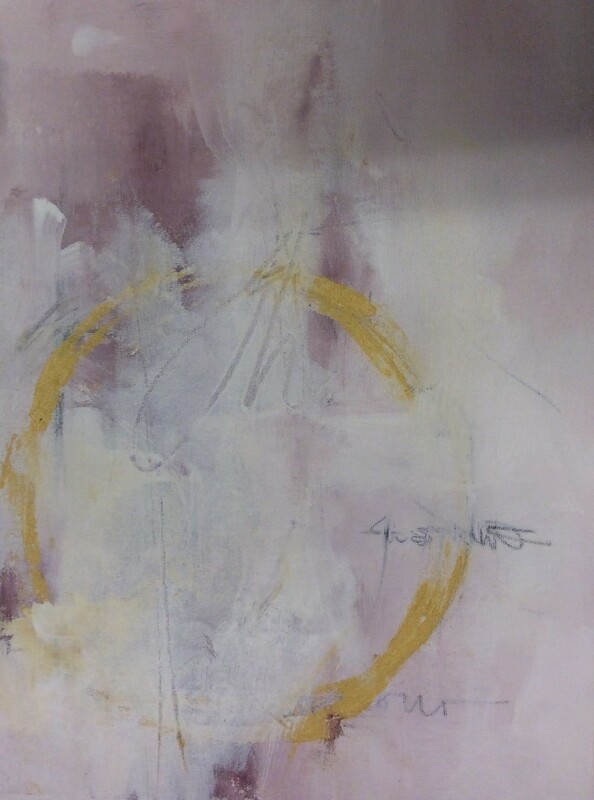 While my style is rooted in abstract expressionism and calligraphy, my intent is changing to a more modern sensibility. I'm drawn to singular expressions reflective of the world around us, as well as the anxiety and tumultuous emotions we deal with in our lives. I aim to break down an emotional narrative to its barest essentials using acrylic, oil, graphite and ink. These materials are used in various combinations to create expressions that lie within a quiet space, be it atmospheric or leaving a large part of the field in its natural state. We live in such a visually stimulating world that I hope to create work that allows the viewer the space to react without being overly encumbered. In doing so, I approach the canvas searching for the balance between silence and chaos with minimalist intent in line, color and form. I have always felt that the most minimal of expressions in any creative endeavor can have the greatest impact. This is how I approach my work because in the end, it is the medium and openness with which you paint that brings about the conclusion.